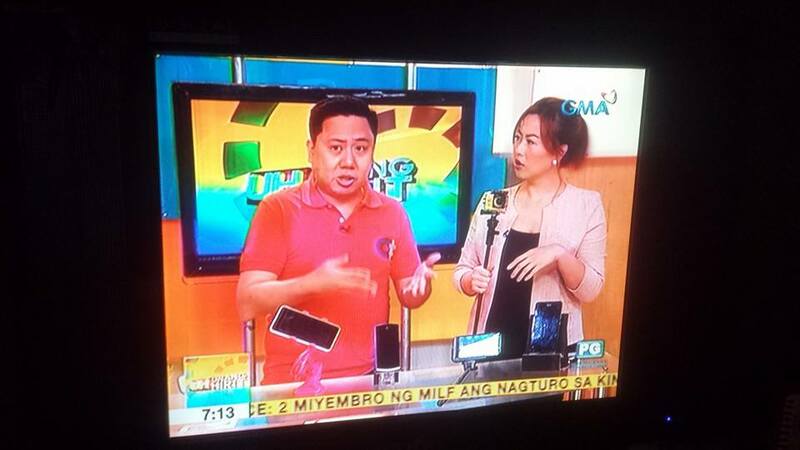 We’re no strangers to the TUF brand from ASUS. Starting with their TUF series motherboards going back as far as the P67 chipset days, all the way to the recent slew of gaming peripherals, the brand has seen almost all of it. The range is completed today as ASUS reveals its latest graphics card: the ASUS TUF Gaming RTX 2060. Built on the principles of durability, compatibility, and performance, this card has features unique to the TUF line-up. The card itself uses a boxy-looking shroud diagonally bisected by a snow camouflage pattern. There’s no RGB lighting, which goes with the militaristic theme ASUS is going for. In terms of performance, ASUS has upped the boost clocks for the TUF GeForce RTX 2060 (TUF-RTX2060-6G-GAMING) by up to 1,689 MHz in Gaming mode, and up to 1,710 MHz in OC mode. 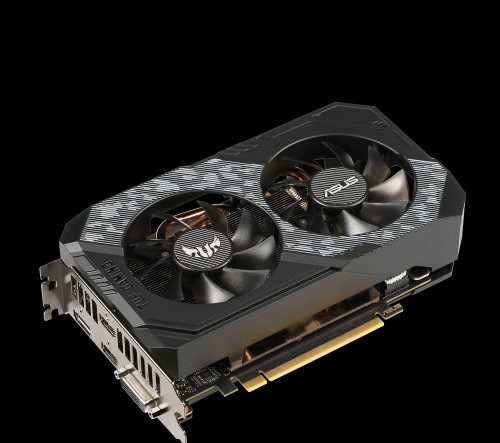 For the OC Edition (TUF-RTX2060-O6G-GAMING) of this card, that’s further increased to 1,710 MHz and 1,740 MHz respectively. 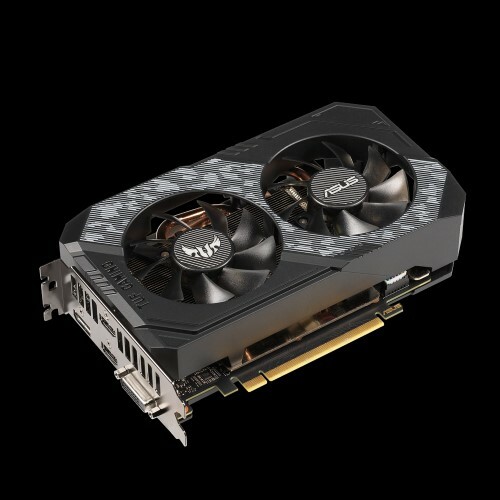 For peace of mind, these cards have undergone an extensive 144-hour validation process comprised of stress testing with popular games such as Fortnite, League of Legends, Overwatch, PUBG, and synthetic benchmarks such as 3DMark. There’s still a single 8-pin PCIe power connector, much like the Founders Edition. But the options for display output is quite unique in that it includes a DualLink DVI-D port, along with one DisplayPort 1.4, and two HDMI 2.0b ports. 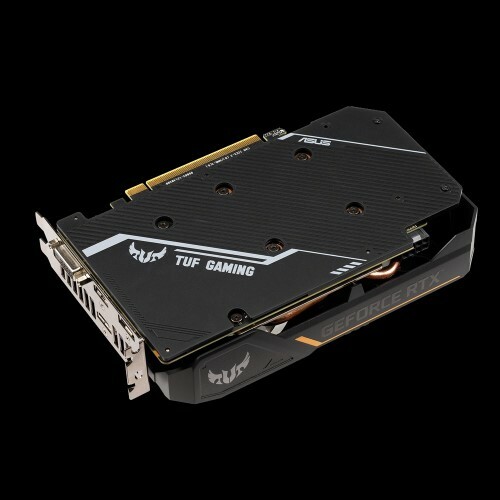 Combined with the relatively small length of just 20.4 cm, the TUF Gaming RTX 2060 will be able to connect to a multitude of old and new displays, as well as fit into most cases just fine. There’s no official word on pricing or availability from ASUS. However, it shouldn’t be too far off from the SRP of around Php 18,000 for the standard edition and about a thousand pesos more for the OC Edition.